Can Power sector become the next Telecom sector? Telecom sector in India evolved in India after the regulations made competition enter this industry. The National Telecom Policy (NTP) Act 99’ which deregulated the Group of Telecom (GoT) , raising Foreign Direct Investment (FDI) limit to 74% was followed by successive policies by Telecom regulatory authority of India(TRAI). The result was declining calling rates, additional Value added services (VAS) and net benefit to the end users. Competition made the sector better. Today we see Power sector in India growing at the fastest speed compared to other infrastructure sectors. For example in Financial Year 2009-10, of all the infrastructure companies raising funds through IPO, 90% of them were power sector companies. With twelfth year plan target of 1,00,000 MW and recent Nuclear deal, one must be wondering if can Power sector become as competitive as Telecom sectors? So what is the game changer for Power sector? The Electricity Act 2003, which enabled non-discriminatory open access for transmission lines. (Open Access: the transmission lines now behave as “Roads”, anybody can access the roads to go to their destination). So even a captive power plant (private power generation units) can use the transmission lines. Competitive bidding was introduced so that price discovery could be unregulated and the entrant can enhance his performance by improving efficiency. The National Tariff Policy 2006, promoted retail competition, supported competitive acquisition of generation capacity and enabling end user for choosing the power supplier. The enforcement of Universal Obligation Fund (USO) will also lead to enhance power infrastructure at rural level. In general, potential competition increased by reducing the need for micro-management by regulatory Authority. Unlike wireless technologies used by telecom operators, Power infrastructure requires physical layout of wires which takes time. Power generation is currently very sensitive to fuel availability. For example, prices of coal, natural gas affects the cost for power production. Renewable energy is still not cost efficient. Consider Indian coal based power generation costs Rs. 2.1 to Rs. 2.4 per KWh while the same for Wind energy is Rs. 3.2 to Rs. 3.4 per KWh and Renewable sources of energy still requires high capital investments. Although Power sector currently with Industry P/E (Price Earnings Ration) at 24.48 is ahead of Telecom sector with and industry P/E at 16.55, it has still a long way to go. One thing is clear, Regulator in any sector has the potential to change the market structure, enhance competition and make a difference. Your take? 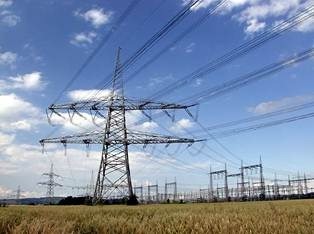 Do you think India’s Power Sector can emulate Telecom growth we have witnessed? Internet Usage: Why is India behind China? Malaysia revokes Visa-on-Arrival facility to Indians – Says 40,000 Indians go ‘Missing’! Very interesting article. I think Power Sector has the potential to become next teleco sector. However, for that a robust policy framework and technological upgradation is required. Also compared to telco sector this is a high capital intensive segment hence requires a large amount of both private and government investment. Hi Rishabh, real power packed analysis which was very en’light’ening as well.Can you also provide information on whether there was anything like”access deficit charge”being charged from private players in power sector as was the case in telecom sector till September 2008. Kudos for a very informative and well laid out write up. I hope you write more on this sector. Good Insight of the sector. Very enlightening! 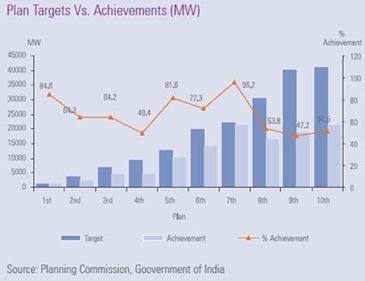 I always thot Indian Power sector will come up soon…u reaffirm that!